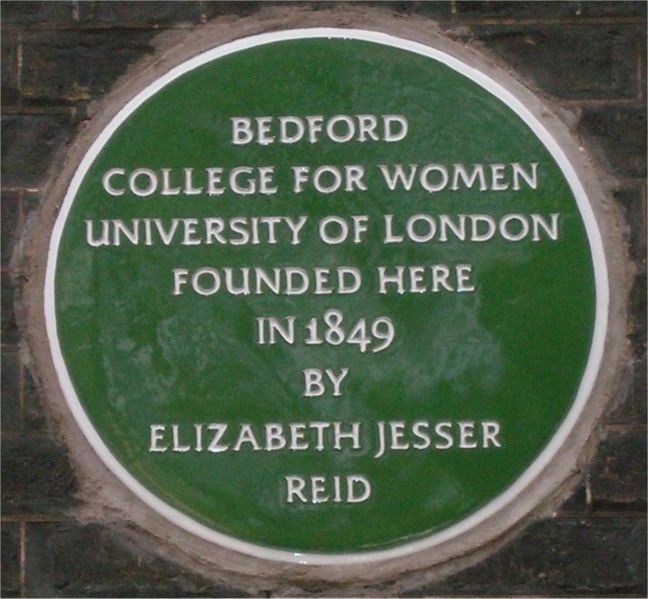 Bedford College for Ladies was founded in 1849 by Elizabeth Jesser Reid (1789-1866). Reid was an active campaigner against slavery who took particular interest in the American Civil War. The African-American abolitionist Sarah Parker Remond studied here. An outstanding orator and fund-raiser, she agreed to travel to England in 1858 to assist the abolition campaign from there. Between 1859 – 1861 she toured England, Scotland and Ireland extensively, raising large sums for the anti-slavery cause. 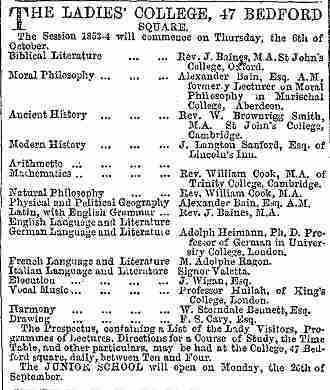 The English Woman’s Journal, founded in 1858, gave her lectures publicity. Remond was passionate about education and enrolled in one of the new colleges for women, called Bedford College for Ladies. 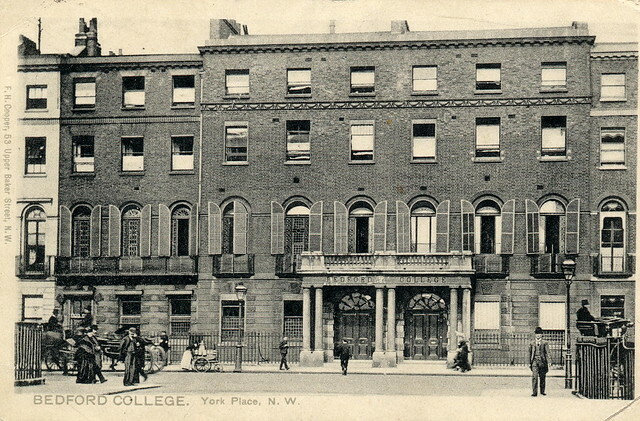 During this time, she resided with the college founder, Elizabeth Reid. During the American Civil War she worked in support of the Union and the blockade of the Confederacy. When the war finished she campaigned on behalf of the formerly enslaved. Remond was also a member of the Ladies London Emancipation Society founded in 1863. In 1866 Remond moved to Italy and entered medical school to qualify as a doctor. Remond’s brother, the anti-slavery activist Charles Remond, was one of the four delegates from Massachusetts who, attended the World Anti Slavery conference which took place in 1840 in London, but refused to add their names to the list of official delegates and sat with the women, in protest at women being excluded from the conference. Bedford College is now part of the University of London’s Royal Holloway and Bedford College.